A quiet weekend and it is just what I like. No big plan. I woke up and went to a local 10K race. It is about a hour from home. I ran a good time here every year. This was my third. While at the course, I didn’t have good vibe that I would do well this time. My shins were still hurt (been like this for two weeks, since that late Wednesday night run). Body doesn’t do well in recovery when I overtaxed it. Still a race is a race. I started at the end of the group. The race was sold out but there were about hundred of us lining up. The temperature was mild for this time 38F (5-6C). I dressed in dual layer short sleeves. shorts. It would warm up to 50 later. The sun was actual warm but we have strong wind 30kph wind. Consistently blowing. I like this race because it is far out the city two counties over from DC, on a farm land. You can see the mountain range where I do a lot of hiking. Out in the rural life is slower. It fits my personality. The course is only 15 minutes from the Appalachian Trail (Snicker Gap). The original plan was to finish the race and head to the trail to do some trail run, since my marathon is all about hills, and this trail has plenty of them. Ashby Hollow and Buzzard Hill is known as the roller coaster because it goes up and down many times in this 10 miles stretch. I hiked this section like four times past year. However after the race, I was cold. I had my downs jacket on but still cold. We had after race party at a brewery across from the farm. I stayed for lunch. They lit a fire pit, and I have been next to it for the past hour. It felt so good. This is what my friend meant when she said about waking up to a warm fire and have breakfast next to it. It is definitely one of the 50 joyful things to be thankful for. 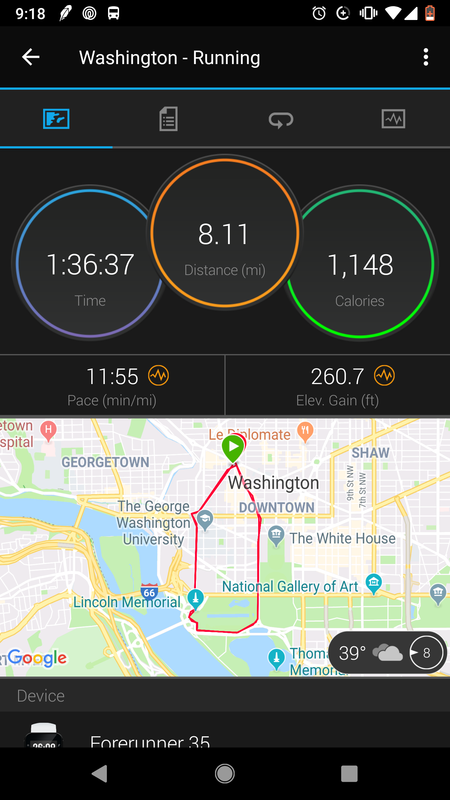 They haven’t posted the race result yet, but unofficially, based on my watch, I should PR this race, finished at 47:58, shaving a minute from my last record, but my watch also reported the course is short by 0.2 mile. It would explain why I was a minute and half faster. Update: It’s official: I PR’ed it and finished at 47:56.